I am half way through! And it’s not been easy I can tell you. I feel like I’ve had to coax each pledge into being. 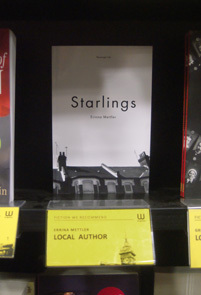 My short story collection In The Future Everyone Will Be World Famous For Fifteen Minutes is so close to 30% funded. Obviously, I need a lot more pledges to reach 100% in the next 6 weeks. I am banking on momentum. Word of mouth, people wearing down in the face of constant bombarment. I would hate me right now if I wasn’t me. Once again thank you to everyone who has already pledged; I am in awe of you because you are making this book seem possible and when it is funded you will have helped create something new. I have just started on an all out email campaign. Emailing everyone I know either directly or through Facebook. It’s a bit soul destroying. I can’t shake the feeling that I am begging but my friend and fellow writer Stephanie Lam directed me to Amanda Palmer’s TED Talk on crowdfunding (The Art of Asking) and that made me feel a whole lot better. I’m not begging, I am offering people the opportunity to co-create a book that wouldn’t otherwise exist, to be a part of the art. It’s interesting who pledges and who doesn’t. It’s not what you expect. People you haven’t seen for years reply immediately and say they’ve pledged and ask how you are. People you’d expect to be onboard from the off flat out tell you it’s not their thing. I wonder if the digital aspect is putting some people off. The book will initially be available in digital format only. This isn’t to say you need an e-reader to read it, when the book is published you will get a copy emailed to download onto whatever, laptop, PC or phone you prefer. 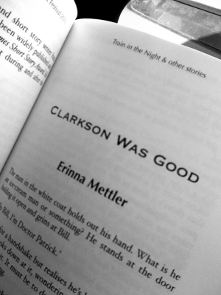 There will be paper copies I am told, for events and signings and if the book gets enough pledgers it might even get a full press – but that is a long way off. Right now I need to meet my target of 253 more pledges. One thing which hasn’t surprised me is the community around the Unbound crowdfunding process. There is a Facebook group for shell-shocked Unbound authors to swap tips and give each other encouragement. 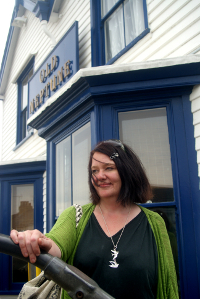 Most authors are lovely supportive people – and I’ve met a lot of them in the last ten years! 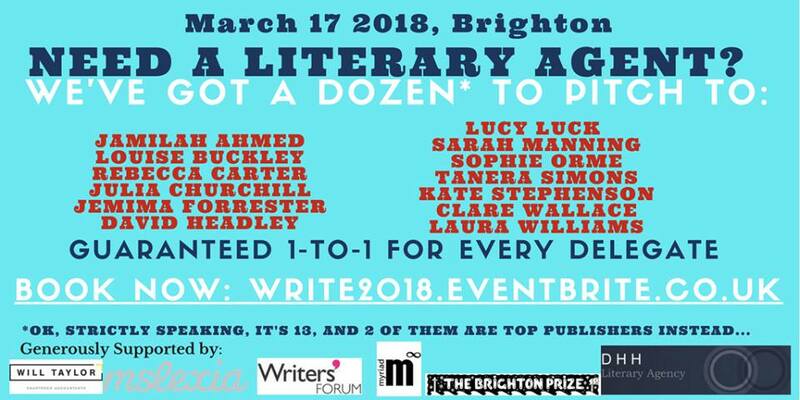 I put a post up about doing an event in Brighton and several writers replied and after a few email exchanges it’s going ahead in Brighton on the 18th April. If you are in the area please come along – entry is free. So is the venue, thanks to a tip from City Read’s Sarah Hutchings I managed to book the wonderful Nightingale Room in side the Grand Central Pub right next door to Brighton Station. Unbound authors James Ellis, Stephen McGowan, Rachael de Moravia, Pierre Hollins and me will be reading from our books. My fellow Rattle Taler Lonny Pop will be hosting and there may even be someone from Unbound editorial to answer questions about crowdfunding. I will be on BBC Radio Sussex tonight at 5.50 to talk about The Brighton Prize but always on the look out for new supporters I will be mentioning this event too! Last night I did something I’ve never done before. 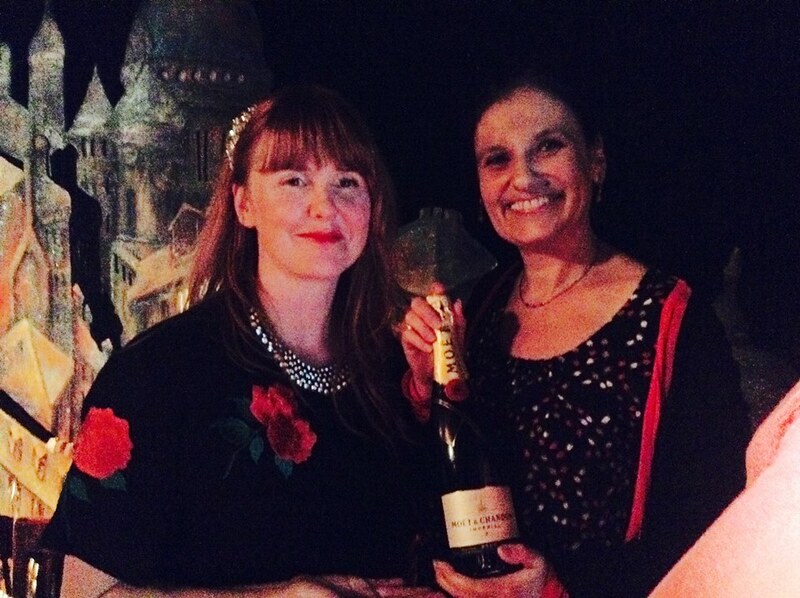 It was the awards show for the 2015 Brighton Prize and I am lucky enough to be one of the Directors. 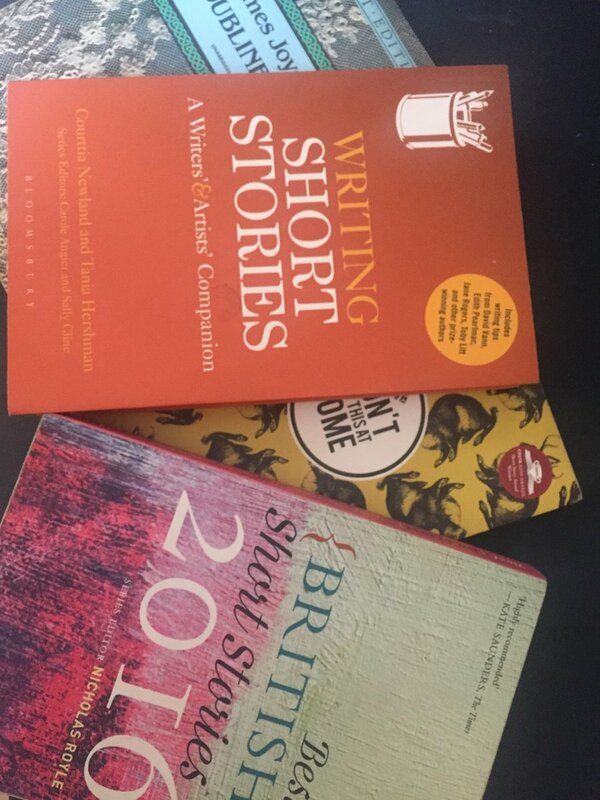 We wanted as many of our ten shortlistees to read as possible, fortunately our winner Lucy Flannery was there to read her prize-winning story, Calm Down Dear, but our two runners up, Tamsin Cottis and Cheryl Palmer couldn’t make it. I offered to read Cheryl’s story Mermaid for her. I loved this story from the first round of reading, it was very striking and original and had a poetic rhythm to it fitting to the title. When I was practising in the afternoon I realised that I hadn’t ever read somebody else’s work to an audience. 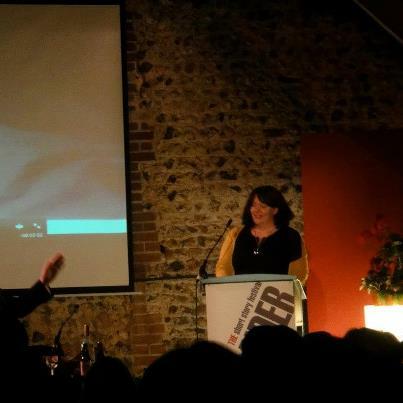 I made my stage debut five years ago, when I read at Brighton’s Grit Lit event in December 2010. I was absolutely petrified and on last! Somehow I managed to get through without anyone guessing how nervous I was. I thought that my right leg was shaking so much that people must have seen it but nobody mentioned it. What people did do was come up and congratulate me on my reading. Since then, I have read my own work many times, usually in dingy cabaret bars but also in festival tents and university conferences. I am always nervous but it does depend on what I’m reading. If a story is very personal to me I will be terrified, if I have any doubts about what I’m reading my hands will tremble and my mouth will dry. Sometimes, when I know it’s good, when people I trust have told me it’s my best, I will be more in control. On Friday I went to the TEDx talks at The Brighton Dome. The theme this year was Losing Control. All the speeches addressed the relinquishing of control as a positive experience, the act of venturing out of our comfort zones making us better humans, more open, able to live up to our true potential. These talks made me think of my own experience reading my writing to an audience. At one point my nerves were so bad that I had a form of hypnosis to try and tackle the root cause. It worked, up to a point, but I always have a little bit of stage fright, I always stumble a bit over my words or suffer from shaky hand syndrome. Last night was the exception. I think because the words weren’t mine I could read without fear. I didn’t feel nervous at all. It was probably my best reading. Now comes the tricky bit. It’s okay to be a bit nervous but I would like not to be. 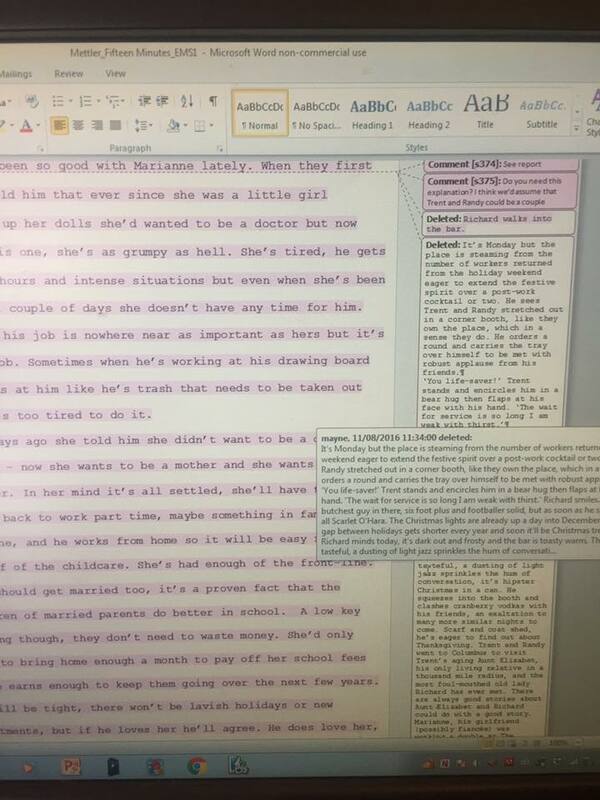 I would like to be able to read my own stories the way I read Cheryl’s. To be in control. Then again, perhaps losing control makes me a more emotional reader and helps get the message across with more impact. Whichever it is, I know that if I want to be a writer I have to keep on doing public readings, it’s part of the game, and if you want to be a writer you will need to do them too. So, deep breath, let yourself go.